Multi-Flow's in-house product development team has developed thousand of beverage profiles. Whether you're looking for beverage experts to match your existing formula, or to develop your own new brand, or looking to expand an existing brand with new flavors or into new categories, Multi-Flow has the experience and the confidence to deliver your needs. Our Product Development team is comprised of degreed food scientists, Q&A managers, marketing managers, and Business Development experts to ensure a quality finished beverage delivers on your specific taste profile. We can also assist with branding concepts and logo development. In addition to our outstanding manufacturing quality, the combination of our custom formulation skill and our market insight can help your business make the impact you desire. Our low-threshold minimum production runs and in-house printing capabilities allow for cost-effective ramp-up for new products at minimal risk and up-front capital. Multi-Flow takes the same price in producing your product as we have for our own brands. 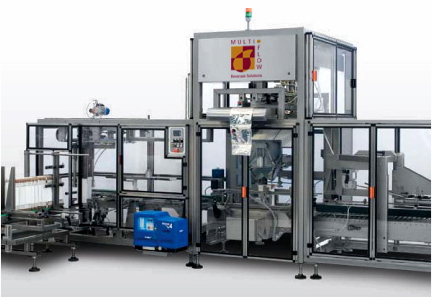 Multi-Flow offers a wide variety of co-packing options. Multi-Flow is proud to produce for a wide range of customers. Multi-Flow currently produces private label fountain brands for some of the largest C-store chains in the country. Iced tea, fruit punch, frozen carbonated beverages, slushies, iced coffee, carbonated soft drinks and flavor shots. National Chains rely on Multi-Flow for private label iced tea, juices, energy drinks, and hot coffee. In addition to a full-line of fountain dispensed beverages for health care and nursing homes, Multi-Flow is one of the leading manufacturers of thickened water BIB products. Multi-Flow services large distributors throughout the U.S. with high-quality private label brands, including juices, teas, carbonated soft drinks, and hot beverages. To learn more, contact Brett Rosenbloom at 1.800.722.1999 ext 2250 or by email.